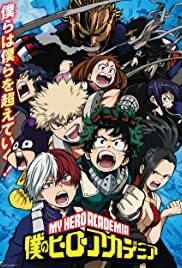 People are not born equal, a realization that 4-year-old Midoriya Izuku faced when bullied by his classmates who had unique special powers. Izuku was one of the rare cases where he was born with absolutely no unique powers. This did not stop Izuku from pursuing his dream, a dream of becoming a great hero like the legendary All-Might. To become the great hero he hopelessly wants to become, he now will join the ranks of one of the highest rated “Hero Academies” in the country: UA. With the help of his idol All-Might, will he be able to claim the ranks and become a true hero? 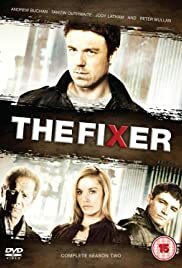 The Fixer is a British drama television series, produced by Kudos for ITV. 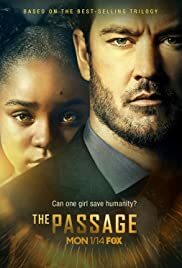 Set in modern Britain, it follows the life of John Mercer, an ex-British Special Forces soldier, arrested by police for killing his aunt and uncle following his discovery of their abuse of his sister, Jess Mercer. 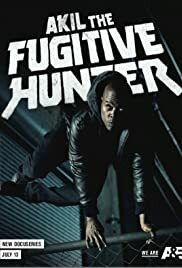 John Mercer is released early from prison to serve in a covert state security squad as a government-backed assassin responsible for eliminating criminals and renegade police officers that the law cannot apprehend. 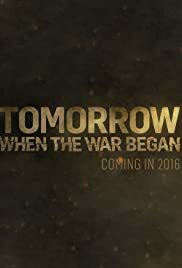 This dramatic adventure series tells the story of a group of teenagers who are separated from their families following an invasion of their country, a conflict they never saw coming. Turkey in the spring of 2014. A time when the enemies are growing on the border, the circle of danger inside is becoming narrower. The Republic of Turkey faces the greatest threats of recent history. BÖRÜ tells the story of heroic heroes who are touched by love. They are the last castle. Ren Homura returns to his former residence, yet he feels very uncomfortable: he possesses no memory of having lived there. 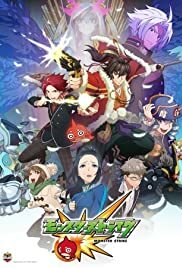 Without warning or his permission, a game called “Monster Strike” installs itself into Ren’s smartphone; monsters of the game then literally fly out from his smartphone and start fighting on streets. Watching the fighting in amazement, Ren starts picking up his lost memories. 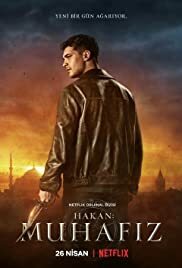 The epic adventure of Hakan, a young shopkeeper whose modern world gets turned upside down when he learns he’s connected to a secret, ancient order, tasked with protecting Istanbul. Jean-Claude Van Damme is a global martial arts & film sensation, also operating under the simple alias of “Johnson” as the world’s best undercover private contractor. Retired for years, a chance encounter with a lost love brings him back to the game. This time, he’ll be deadlier than ever. Probably. 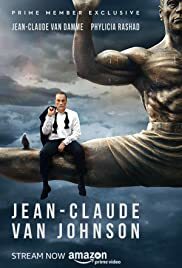 Jean-Claude Van Damme is a global martial arts & film sensation, also operating under the simple alias of "Johnson" as the world's best undercover private contractor. Retired for years, a chance encounter with a lost love brings him back to the game. This time, he'll be deadlier than ever. Probably. 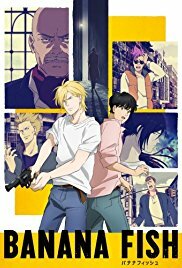 The loss of his best friend due to gang violence compels a man to change his ways and hunt the most elusive criminals in Los Angeles. 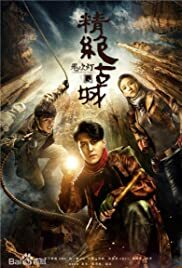 When archaeologist Shirley Yang learns of her father’s disappearance, she returns to China and enlists the help of tomb raiders to track him down. When archaeologist Shirley Yang learns of her father's disappearance, she returns to China and enlists the help of tomb raiders to track him down. 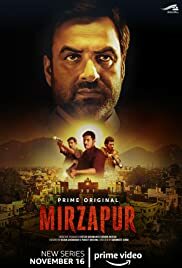 The iron-fisted Akhandanand Tripathi is a millionaire carpet exporter and the mafia don of Mirzapur. His son, Munna, is an unworthy, power-hungry heir who will stop at nothing to inherit his father’s legacy. An incident at a wedding procession forces him to cross paths with Ramakant Pandit, an upstanding lawyer, and his sons, Guddu and Bablu. It snowballs into a game of ambition, power and greed that threatens the fabric of this lawless city. 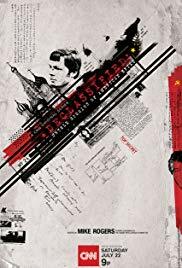 Explore the true stories of America’s covert operations told firsthand by the agents who lived it, while getting unprecedented access to the riveting and secret world of espionage. Hosted by former U.S. Congressman, former House Intelligence Committee chair and current CNN national security contributor Mike Rogers. Explore the true stories of America's covert operations told firsthand by the agents who lived it, while getting unprecedented access to the riveting and secret world of espionage. Hosted by former U.S. Congressman, former House Intelligence Committee chair and current CNN national security contributor Mike Rogers. 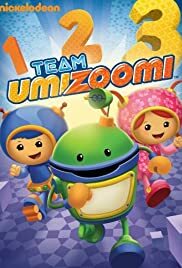 Team Umizoomi is a animated fantasy musical series with an emphasis on preschool mathematical concepts, such as counting, sequences, shapes, patterns, measurements, and comparisons. The team consists of mini superheroes Milli and Geo, a friendly robot named Bot, and the child who is viewing the show. Milli, Geo and Bot refer to the child viewer as their Umifriend and encourage him or her to develop their “Mighty Math Powers!” The action generally takes place in and around Umi City, a colorful city where the streets are paved with origami inspired patterns. In the United States Team Umizoomi is shown on both Nick Jr. and Nickelodeon. It is also available on iTunes. It first aired on January 25, 2010. 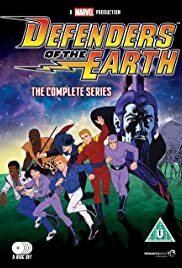 Defenders of the Earth is an American animated television series produced in 1986, featuring characters from three comic strips distributed by King Features Syndicate—Flash Gordon, The Phantom, and Mandrake the Magician—opposing Ming the Merciless in the year 2015. 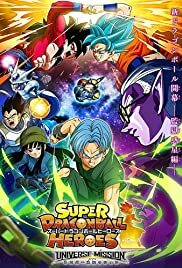 Supporting characters include their children Rick Gordon, Jedda Walker, Kshin, Mandrake’s assistant Lothar, and Lothar’s son L.J. The show lasted for 65 episodes; there was also a short-lived comic book series published by Star Comics, created by Gerry Conway, Ross Andru and John Romita, Sr.. The closing credits credit Rob Walsh and Tony Pastor for the main title music, and Stan Lee for the lyrics. The series was later shown in reruns on the Sci Fi Channel as part of Sci Fi Cartoon Quest. In this series, the LAPD thinks it’s a good idea to form a task force partnering actors with homicide detectives. A super meta half hour comedy, the show within a show within a show is as much about Hollywood as it is an action-comedy procedural. 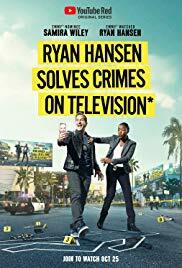 Starring Ryan Hansen and Samira Wiley as his strait-laced partner Detective Jessica Mathers, the series features a who’s who of stars playing bizarro versions of themselves including Joel McHale, Donald Faison, Eric Christian Olsen, Jon Cryer and Kristen Bell. Headhunter Zheng Qiu Dong doesn’t know the meaning of defeat. There is no limit to how much he is willing to do to succeed in the hunting ground that is the world of business. He is also incredibly close to his girlfriend, Luo Yi Ren, and truly cares for his best friend from college, Bai Li Qin. Along with the guidance of his mentor Lin Bai, Zheng Qiu Dong tries to rise to the top and goes to war with other headhunters and businessmen. These include the shady and relentless Yuan Kun and the very capable and very dangerous Chen Xiu Feng. It’s a battle of quick wits, and Zheng Qiu Dong slips up. He loses it all. Now out of both time and luck, Zheng Qiu Dong is in prison and at the end of his rope. But if there’s one thing Zheng Qiu Dong doesn’t know, it’s how to give up. With the help of his prison comrade Liu Liang Ti, the once successful Zheng Qiu Dong has to get it all back. But as the former headhunter soon learns, this hunt quickly becomes a game of death. Muyun Sheng, born from a spirit mother, is the unfavoured sixth son of the reigning Emperor Ming of Duan. Discovering an ancient painting by chance, he is captivated by the spirit locked inside (Panxi), and together, they promise to search for the most beautiful places on Earth. Muru Hanjiang, friend of Muyun Sheng, is the son of General Muru Shuo, famous for conquering the Eight Tribes of Han Province. Many years later, the descendant of the Eight Tribes Shuofeng Heye sows discord between the Muyun and Muru families. 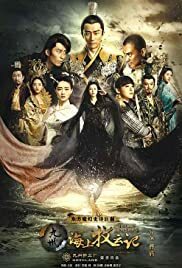 Only when the friendship and loyalty between these two families is rebuilt will the Duan Dynasty be safe from invasion by the Eight Tribes. This drama tells of the loyalty, friendship, enmity and romance between the young descendants during the twilight years of the Duan Dynasty. 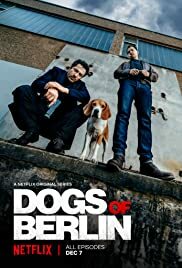 A war veteran plagued by guilt over his final mission teams up with his best friend’s widow to infiltrate a dangerous Copenhagen biker gang. 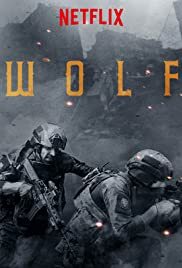 A war veteran plagued by guilt over his final mission teams up with his best friend's widow to infiltrate a dangerous Copenhagen biker gang. 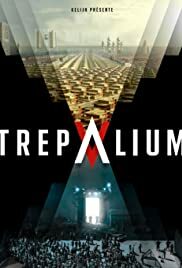 While mourning the loss of his world-famous puppeteer father, Taylor finds himself mysteriously transported to the magical world of his father’s show. 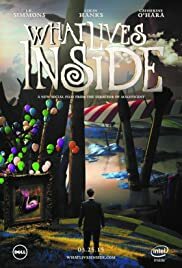 While mourning the loss of his world-famous puppeteer father, Taylor finds himself mysteriously transported to the magical world of his father's show. 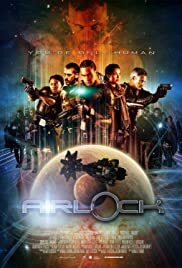 When a derelict ship docks with an isolated space station, Security Officer Jonah Ashbrook is tasked with the investigation. He finds the crew murdered, and the ship’s cargo – a destitute group of Sector Nine asylum seekers – hiding a deadly secret that threatens humanity itself. 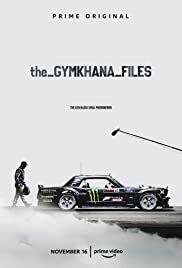 Follow globally recognized race car driver and viral star Ken Block and his team of Hoonigans as they attempt to make the greatest automotive video of all time while racing in the World Rallycross Championship. 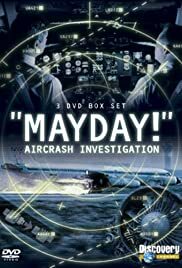 Harrowing stories of tragedy and triumph are brought to life through official reports, transcripts and interviews with the pilots, air traffic controllers and lucky survivors of history’s most terrifying crashes. Widely considered to be the safest form of travel, air transportation is still in its infancy and when midair calamity strikes, the results are often catastrophic. From the cockpit to the cabin, from the control room to the crash scene, we uncover just what went wrong. The economic situation is a nightmare: only 20% of the population is employed. The Actives live inside the city. On the fringes, in the Zone, live the Jobless. Separating them is a wall. Persona 4: The Animation is a television anime series produced by AIC ASTA and directed by Seiji Kishi, based on the Shin Megami Tensei: Persona 4 video game by Atlus. 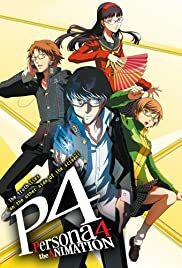 The story revolves around the protagonist, Yu Narukami, who acquires a mysterious power called “Persona” and embarks on a journey with his new friends to uncover the truth behind a bizarre series of murders involving a distorted TV World. 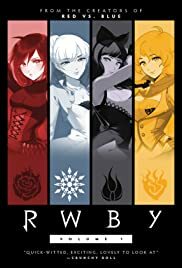 The series aired in Japan between October 2011 and March 2012, with a film adaptation released in June 2012 and an original video animation episode released in August 2012. The series is licensed in North America by Sentai Filmworks. 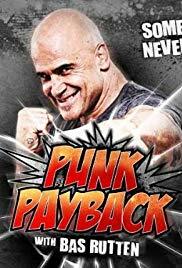 UFC heavyweight champ and 3x King of Pancrase, Bas Rutten, has surveyed hundreds of hours of footage and found the best examples of punks who have gotten away with their crimes. Along with the hottest stars of MMA, motocross, and skateboarding, Bas will reenact each scenario, demonstrating the necessary combat moves one would need to survive on the streets. Watch out punks; it’s time for the little guy to take charge in Punk Payback. 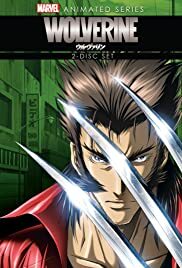 Wolverine is a mutant, possessing animal-keen senses, enhanced psychical capabilities, three retracting bone claws on each hand and a healing factor that allows him to recover from virtually any wound, disease or toxin at a accelerated rate. Three hard-core crews of gold prospectors take the gamble of a lifetime and battle to strike it big, deep in the wild west of outback Australia. The soaring highs and the crushing lows of the gold season are revealed as the crews pursue their all-important targets – braving brutal heat, punishing conditions, mechanical breakdowns and constant pressure. 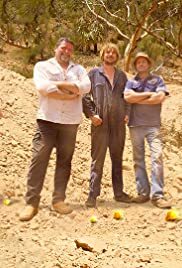 Three hard-core crews of gold prospectors take the gamble of a lifetime and battle to strike it big, deep in the wild west of outback Australia. The soaring highs and the crushing lows of the gold season are revealed as the crews pursue their all-important targets - braving brutal heat, punishing conditions, mechanical breakdowns and constant pressure. A top Israeli agent comes out of retirement to hunt for a Palestinian militant he thought he’d killed, setting a chaotic chain of events into motion. 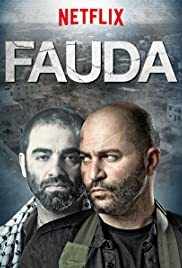 A top Israeli agent comes out of retirement to hunt for a Palestinian militant he thought he'd killed, setting a chaotic chain of events into motion. A dark medieval fantasy following the last surviving member of the disgraced Belmont clan, trying to save Eastern Europe from extinction at the hand of Vlad Dracula Tepe himself. Inspired by the classic video game series. 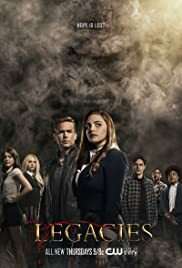 In a place where young witches, vampires, and werewolves are nurtured to be their best selves in spite of their worst impulses, Klaus Mikaelson’s daughter, 17-year-old Hope Mikaelson, Alaric Saltzman’s twins, Lizzie and Josie Saltzman, among others, come of age into heroes and villains at The Salvatore School for the Young and Gifted. What if extinct animals weren’t really extinct? Forrest Gallante, a wildlife biologist, is scouring the globe using cutting edge technology on his mission to find species that the world has stopped looking for. What if extinct animals weren't really extinct? Forrest Gallante, a wildlife biologist, is scouring the globe using cutting edge technology on his mission to find species that the world has stopped looking for. 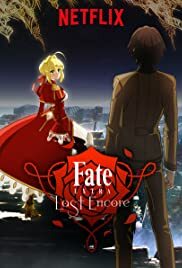 Hakuno Kishinami finds himself in the midst of a Holy Grail war with no memories of how he got there. Through his confusion, he must fight to survive. An air steward crash lands into a tropical paradise and puts himself in charge of the palm-fringed island. 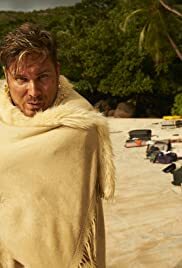 But remaining survivors won’t be grateful for their lives for too long as they will soon learn they are stranded with the world’s worst human being, Brett Sullivan, and not even the blue tropical waters are enough to make him bearable. An air steward crash lands into a tropical paradise and puts himself in charge of the palm-fringed island. 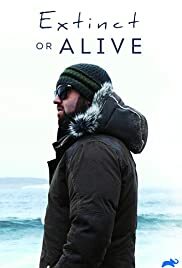 But remaining survivors won't be grateful for their lives for too long as they will soon learn they are stranded with the world's worst human being, Brett Sullivan, and not even the blue tropical waters are enough to make him bearable. 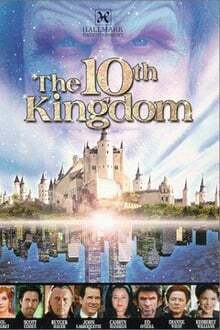 The 10th Kingdom is an American fairytale fantasy miniseries written by Simon Moore and produced by Britain’s Carnival Films, Germany’s Babelsberg Film und Fernsehen, and the USA’s Hallmark Entertainment. It depicts the adventures of a young woman and her father after they are transported from Manhattan, New York, through a magical mirror into a parallel world of fairy tales, magical beings, evil stepmothers and self-discovery. The miniseries was initially broadcast over five nights in two-hour episodes on NBC, beginning February 27, 2000. 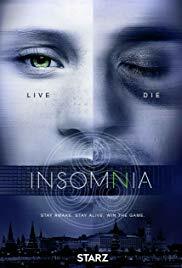 It garnered good reviews but very poor ratings. It won an Emmy Award for Outstanding Main Title Design in 2000. 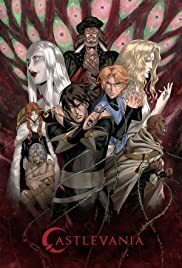 When strange anomalies start to appear all over England, Professor Cutter and his team must track down and capture all sorts of dangerous prehistoric creatures from Earth’s distant past and near future. 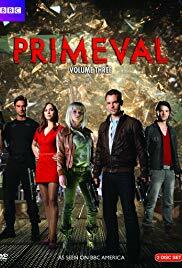 When strange anomalies start to appear all over England, Professor Cutter and his team must track down and capture all sorts of dangerous prehistoric creatures from Earth's distant past and near future.